Some will need resto...The rear Gearbox does not have it's nose cone..
1945 Volkswagen Kubelwagen KDF Type 82 25 HP Fully Restored. 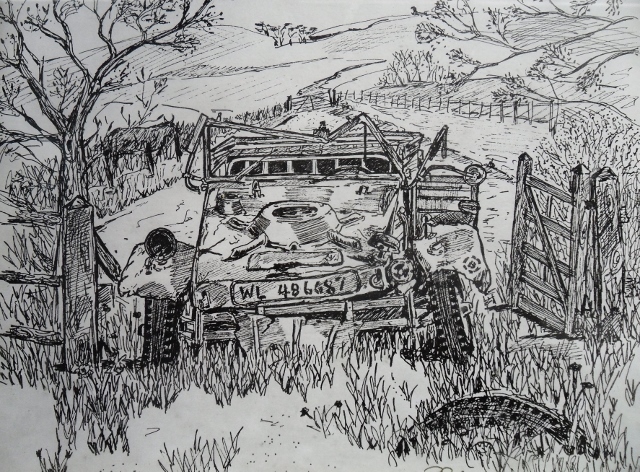 Bought by me 20 years ago out of a prestigious elderly German collectors military vehicle collection. Completely restored by D. Crompton of MI, from 2002 to 2004, the best German military vehicle restorer in the US. 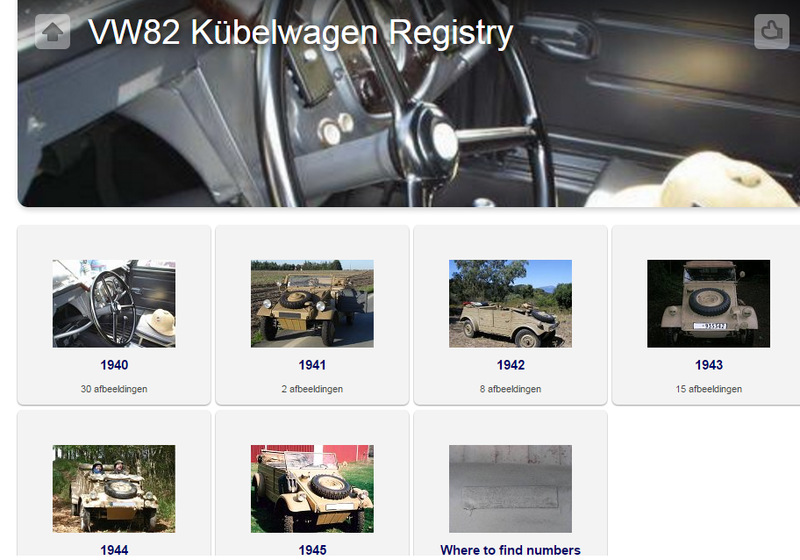 Kubelwagen was restored back to exacting detail for originality and is painted in German factory tan, the color it would have left the factory in 1945. Original body number 49003, original front axle out of Normandy France area and I believe is in original camo paint, original kdf steering box and original period correct 25 hp engine completely rebuilt. Chassis post war built up around chassis number 500XX with New floor pans, post war gearbox and hydraulic brakes which I left in for driving safety purposes as recommended by Mr. Crompton. These could be taken back to cable brakes but I decided not to and opted for safety. New canvas top, seats and side windows, light covers were made by Beech Wood Canvas of NJ, well known US military vehicle canvas specialists. Comes with birth certificate from VW Wolfsburg showing February 12 1945 production delivery at Kassel Germany. No expense was spared by me restoring this car. It would be the centerpiece of any WWII military vehicle collection, Military museum or a re-enactors dream car. Very few of these were produced in 1945 as the war had taken it's toll on production facilities making these late war Kubelwagens quite desirable. Buyer will get Kubelwagen, birth certificate accessories mentioned and complete three ring binder of letters from Mr. Crompton to me and photographs of restoration. It has always been garaged and never been in the rain. It is ready to be enjoyed. Head's up of the La Gleize Show, several VW-KdF will be in attendance. Nice artwork from forum member Captainswing! Drehstaebe fuer VW166 und VW82. Neu gefertigte Drehstaebe fuer VW166 und VW82. Die Drehstaebe sind aus Federstahl gefertigt und gehaertet. Die Eigenschaften der Drehstaebe entsprechen genau dem Original. 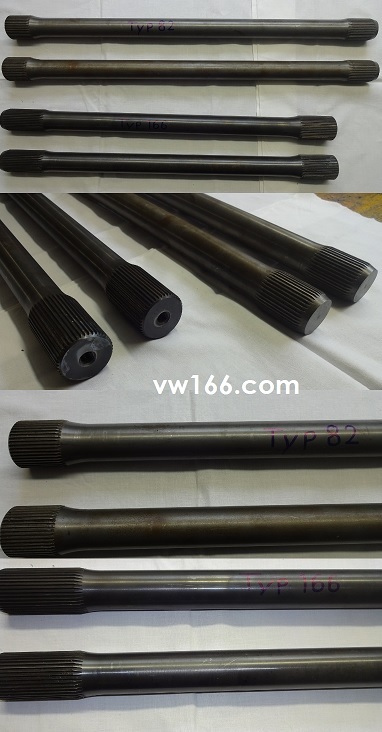 Newly manufactured torsion bars for VW166 and VW82. The torsion bars have been made of hardened spring steel. 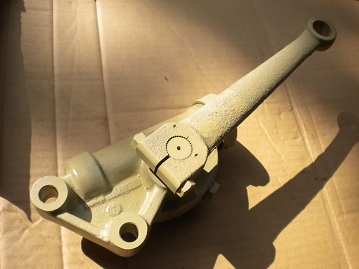 The characteristics of the torsion bars are identical to the original. Price, 250 euros per piece. Read more about Drehstaebe fuer VW166 und VW82. 'At last, my new Visual History series book which covers the Kubelwagen and the Schwimmwagen, has arrived. This is a 136-page book, which could not have been done without the considerable help of the members of the KubelKorps USA group. While there are several pages of archival photos, the bulk of the book consists of color photos of the most accurately and completely restored examples of these vehicles in North America. The chronology of the production of these vehicles is told through these photos and detailed captions, clearly painting the picture of what details changed when. For those of you who reserved copies, the invoices have now been sent via PayPal. Those orders will be shipped as the payments are received. For those that did not reserve copies, I still have a few left - which are available via my website, or at my booth at the MVPA in Pleasanton, California 11-13 August, 2016. Non- US postage rates charged are those charged by the US Postal Service - which are often high, so it is prudent to order more than one book, or pool orders with friends.